After earning a degrees from Morehead State University and the University of Dayton, Williams spent 32 years teaching elementary students in the Lynchburg-Clay School District. When she retired in 2013 she had taught every elementary grade level at one time or another. But the subject she loved the most was the one she liked teaching the least. “As a teacher I didn’t enjoy teaching reading because it always came so easy to me and I couldn’t relate to kids who couldn’t read,” Williams said. Her love of reading was born about the time she was embarking on her own years as a student. She said she has come a long way since her first book. In fact, after writing her sixth or seventh book, she said she went back and rewrote her first book, because she realized how far she had progressed. Williams describes her genre as romatic suspense. She said the most recent book is set in a small town in Kentucky. One of the main characters is a teacher who starts noticing that a lot of seemingly healthy people start going to sleep and not waking up. Also among her works is “Living and Loving in Arizona,” a four-book series spanning about 20 years in the life of a veterinarian’s family. While selling books is always a plus, Williams said that’s not really what drives her. Williams will be selling her books at Saturday’s Taste of Highland County. It runs from 9:30 a.m. to 6:30 p.m. on Governor Trimble Place and Governor Foraker Place in the center of Hillsboro. 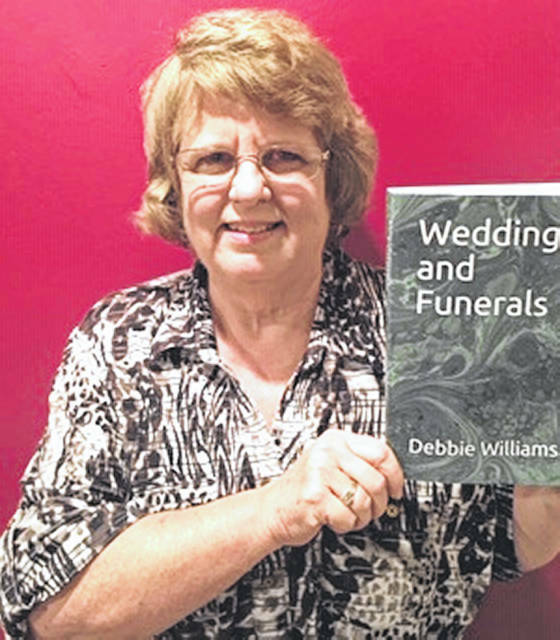 Her books are also available on Amazon and on a Debbie Williams Author Page on Facebook. She also sells her books out of her home and can be reached at debbielc211@yahoo.com or at 937-393-3537.